Kendrick, M. R, A. E Hershey, and A. D Huryn. 2019. “Disturbance, Nutrients, And Antecedent Flow Conditions Affect Macroinvertebrate Community Structure And Productivity In An Arctic River”. Limnology And Oceanography 64 (S1). Limnology And Oceanography: S93-S104. doi:10.1002/lno.10942. http://doi.wiley.com/10.1002/lno.10942. Kendrick, M. R, A. D Huryn, William B Bowden, Linda A Deegan, R. H Findlay, A. E Hershey, Bruce J Peterson, Josh Benes, and E. B Schuett. 2018. “Linking Permafrost Thaw To Shifting Biogeochemistry And Food Web Resources In An Arctic River”. Global Change Biology. Global Change Biology. doi:10.1111/gcb.14448. http://doi.wiley.com/10.1111/gcb.14448. Bowden, William B, Bruce J Peterson, Linda A Deegan, A. D Huryn, J. P Benstead, Heidi E Golden, M. R Kendrick, et al.. 2014. 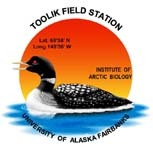 “Ecology Of Streams Of The Toolik Region”. In A Changing Arctic: Ecological Consequences For Tundra, Streams And Lakes, 173-237. A Changing Arctic: Ecological Consequences For Tundra, Streams And Lakes. New York, NY: Oxford University Press. doi:10.1093/acprof:osobl/9780199860401.003.0007. Kendrick, M. R, A. D Huryn, E. B Schuett, William B Bowden, Bruce J Peterson, Linda A Deegan, and George W Kling. 2014. “River Ecosystems In A Changing Arctic: Using Long-Term Ecological Research (Lter) Data To Asses Recent Change”. Association For The Sciences Of Limnology And Oceanography Joint Meeting. Association For The Sciences Of Limnology And Oceanography Joint Meeting. Portland, OR. Parker, Stephanie M, and A. D Huryn. 2013. “Disturbance And Productivity As Codeterminants Of Stream Food Web Complexity In The Arctic”. Limnology And Oceanography 58. Limnology And Oceanography: 2158-2170. doi:10.4319/lo.2013.58.6.2158.